You are here: Home / Chandler AZ Real Estate / The MLS AZ provides data. The MLS AZ provides data. Your local, Chandler realtor provides insight. Online tools like the MLS AZ can be helpful when searching for a new home in Sun Lakes, AZ and the surrounding area. But, a better decision is to contact a local, Chandler realtor and give them an idea of what you are looking for in a new home. Local real estate agents can help you find a home in less time, and often at a better price, than looking on your own using online databases and websites. What many home buyers don’t realize is realtor services won’t cost them anything. Real estate agents working with buyers receive payment from commissions that are paid by the seller… so why not get help from a knowledgeable local agent? A Local, Chandler Realtor and the MLS AZ Can Help You Find the Perfect Home. Real estate agents specialize in their local markets and are uniquely positioned to help you find the home you want and even steer you away from ones you don’t. In many cases, your local agent has already shown a house or attended a previous open house at the property you are interested in seeing. Plus, your agent will often have valued information that may not appear in online listings – like knowing that roof or driveway needs replacement, the kitchen is outdated, or the attractive pictures online cleverly omitted the property’s neighbor – a brightly-lit 24-hour gas station. An agent’s local knowledge can really help you find your perfect, next home. And just as importantly, they can save you time by weeding out undesirable properties more efficiently. 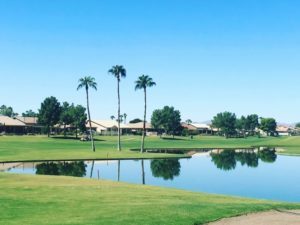 Your local agent will often work and live in the local area where you are searching for a home (our team lives in Sun Lakes, AZ!). They have the advantage of knowing the community, if the neighborhood is undesirable and more. Your local agent will also know the location of the closest grocery store, best local restaurants and other, useful places. Online resources, including the Chandler, AZ MLS can’t offer this type of local insight. Despite the seeming expanse of online resources like the MLS AZ, not all homes for sale in the market are listed – limiting your choices. Many homes for sale are not listed in on the Chandler, AZ MLS because people selling their own home (for sale by owner) are unable to post listings in the system. A local, Chandler realtor will have a list of these available properties as well as full access to the MLS and other tools. In addition, your local agent may be aware of recently-added homes that are not updated by the property search online. Also, certain home owners refuse to list their home online as they are not comfortable having people drive or stop by when they are absent. These are often hidden opportunities that only a local agent will know about – enabling you to broaden your home options. Working with a local, Chandler realtor provides clear advantages when looking for your next home. Local knowledge is power far beyond what online resources alone can offer. 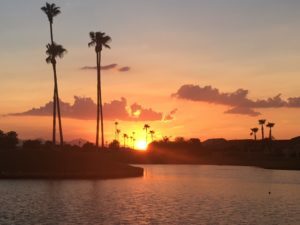 Are you looking for a home in the Sun Lakes, AZ area and want access to all of the new listing on the Chandler, AZ MLS and more? To learn more about these communities and various, home-buying options, please contact us here.